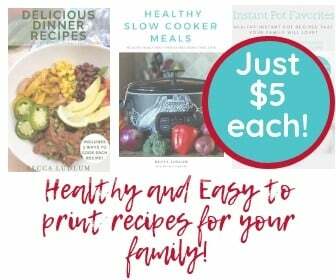 As a Mom, it’s important to me to provide the healthiest food I can for my family. 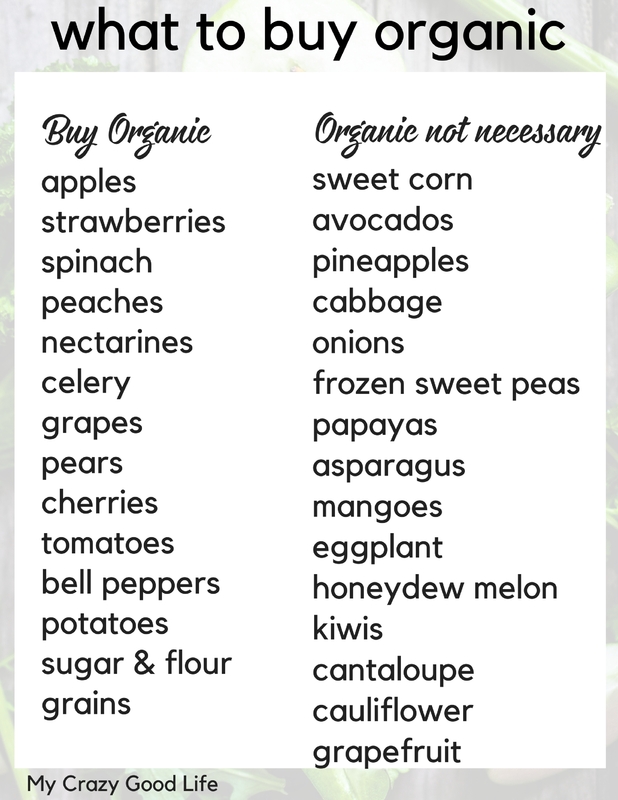 I also know that buying organic can be expensive, so I’ve done some research on what to buy organic and what not to. The list of fruits and vegetables known as “The Dirty Dozen” is full of items that have thin skin that chemicals can easily seep into. In addition to the Dirty Dozen, I think it’s important to buy organic for anything that comes out of the ground like sugar, flour, and grains. I call it my clean ingredient list. These items have a thick skin (or husk, or shell), or are grown with a minimal amount of pesticides because they don’t attract as many insects as other crops. 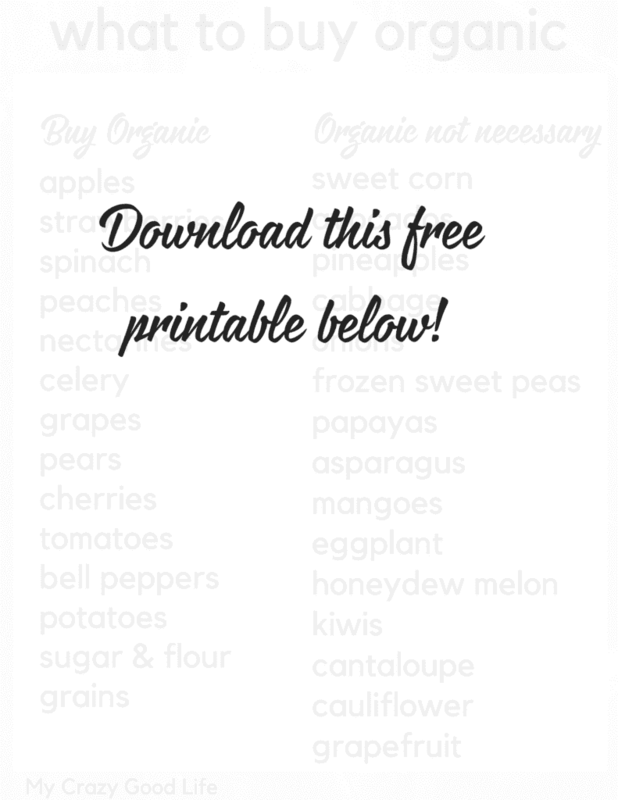 You can download and print this list of what to buy organic and what not to by clicking right here. You can also save a copy to your phone so it’s handy while you’re grocery shopping! Clicking the link will download the graphic straight to your computer or open it on your mobile device. 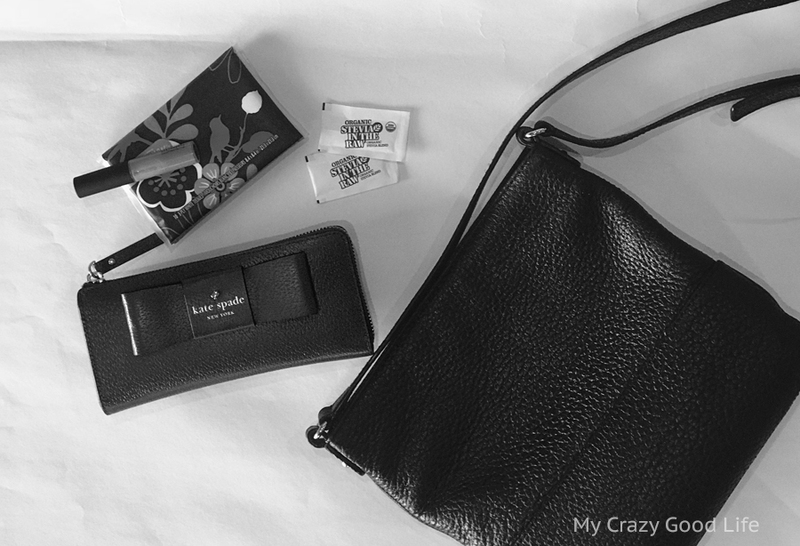 Our family has been purchasing Organic Stevia In The Raw® to keep in our car and my purse. I love that it gives me another option for sweeteners while I’m out and that I don’t have to choose from what’s on the table at restaurants. It is low in calories (only three!) and provides the same amount of sweetness as two teaspoons of sugar. This post is sponsored by Organic Stevia In The Raw®, which is USDA Organic Certified, Non-GMO Project Verified, Vegan Certified, and Naturally Gluten-Free. 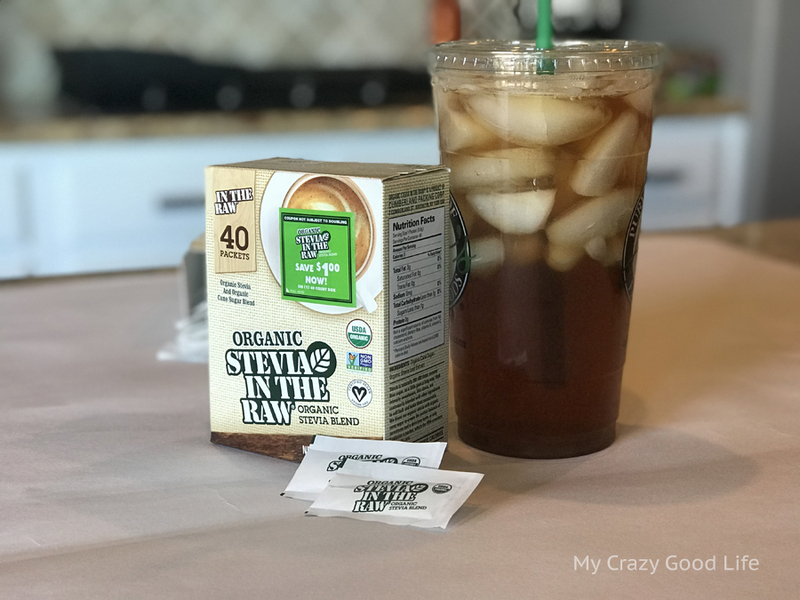 I buy my packets at Fry’s or Walmart, but you can also buy Organic Stevia In The Raw online! Find the closest retailer to you right here. And here’s a downloadable coupon! I buy organic eggs and veggies from the farmers market when they are available. Usually tomatoes, cucumbers and bell peppers. We love organic dairy, tomatoes, and potatoes. Organic products I buy: dairy, eggs, juice, produce. I buy Organic eggs, tomatoes, carrots and peaches.